The Age of Revolution is a period in history, which, for the purposes of the Great Debate 2019, we are considering as 1775-1848. Over the course of these years, society underwent a series of revolutions in almost all theatres of life: political, war, social and cultural, and economic and technological. Revolutionary ideas and revolutionary actions swept across the world, and historians still discuss and debate the overall impact and change over this period. Find out more about this era below. There are also a number of other general articles and podcasts on our website discussing events relevant to the era – follow the links at the bottom of this page, and explore further by searching our site for ‘Revolutions’. More will be added to this page over the course of the winter term. What is the Age of Revolutions? The “Age of Revolutions” (1775-1848), as our partnership project with Waterloo200 has been called, pays homage to Hobsbawn’s famous book of the same name, except that we have added an 's' to define the period as one of revolutions of many different kinds. This period is exactly that – a period of history characterised by revolutions of all kinds – political, social and economic affecting many areas of life. Politically, the period is characterised by a number of significant revolutionary movements which occurred in many parts of Europe and the Americas. The period is noted for the change in government from absolutist monarchies to constitutionalist states and republics. 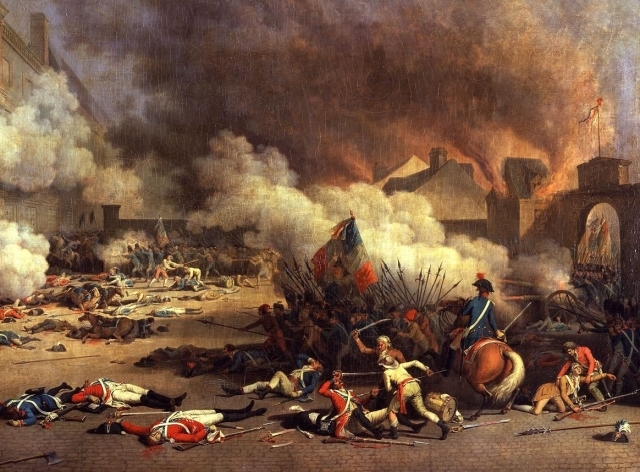 The Age of Revolutions includes the American Revolution, the French Revolution, the Irish Rebellion of 1798, the Haitian Revolution, the revolt of slaves in Latin America, and of course the wave of revolutions across Europe in 1848 among others. Economically and socially, this period also includes the Industrial Revolution in which mass production in factories replaced hand making of many goods and in turn led to the growth of cities, the birth of consumerism and the transport revolution. Intertwined with this is of course transatlantic slavery and the abolition movement. In thought and ideas, the age of enlightenment was at its height and new ideas about how to live challenged the old order. A burgeoning working class also began to demand greater rights and literacy rates began to increase. New technologies led to a technological revolution which in turn intertwined with the Industrial Revolution. What was the greatest failure of the age? Much of the Age of Revolutions is linked – your task is to decide what the greatest failure of the Age of Revolutions was. This might be something that changed but didn’t go far enough, despite historical antecedents paving the way – or it might be a revolution that changed things, in your opinion for the worse. It could be something that could have changed at this time as conditions were ripe, but didn’t change because it went unnoticed, undeveloped or unchallenged. Or it could be that a revolution (or an aspect of a revolution) was initiated but was ultimately unsuccessful. Because the Age of Revolutions is such a vast topic there are many different areas of coverage and angles from which you can come at this question. We’ll be looking for thoughtful responses – good luck!